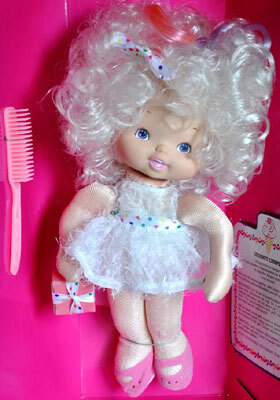 "Under my hat I hide a world of hairstyling fun!" 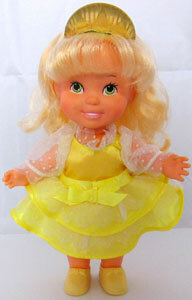 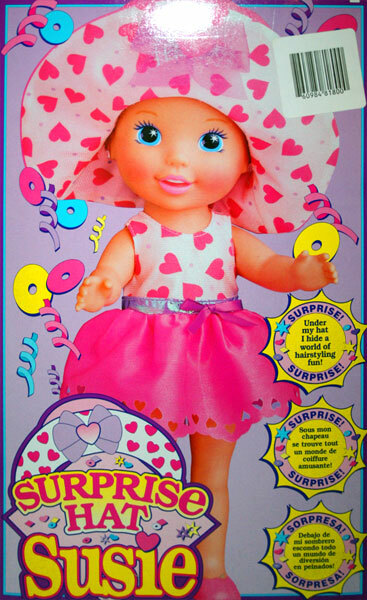 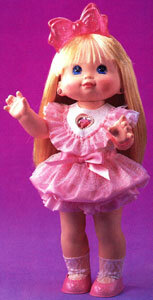 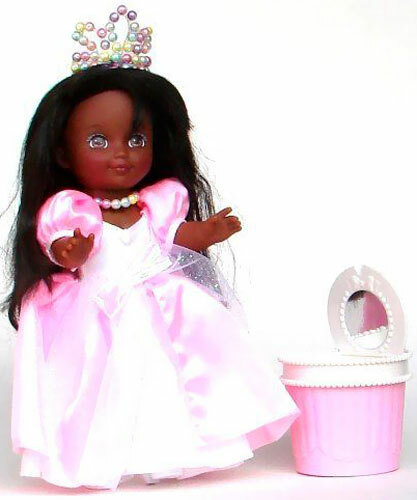 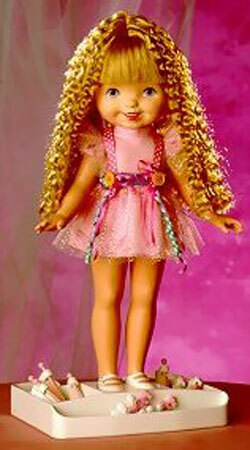 Surprise Hat Susie was produced by Tyco in 1995 and was a 12 inch doll with lots of little hairstyling accessories. 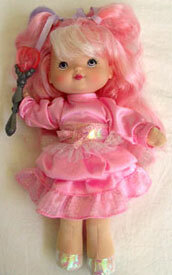 Images on this page thanks to eBay sellers jptimes6 and podgypaws ! 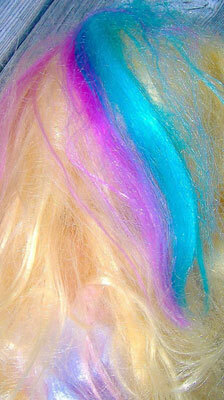 View all Surprise Hat Susie on eBay.com or eBay.co.uk ! 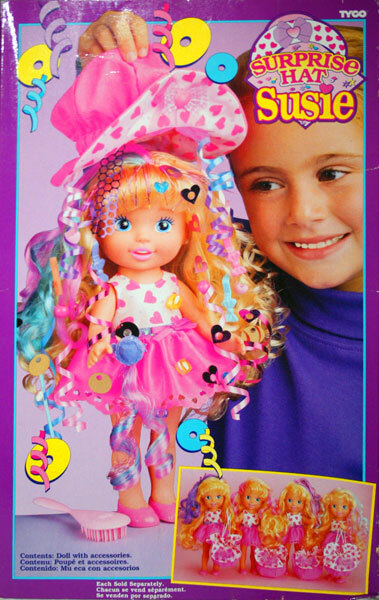 Susie came with a removable hat and dress, and pink painted-on shoes and underpants. 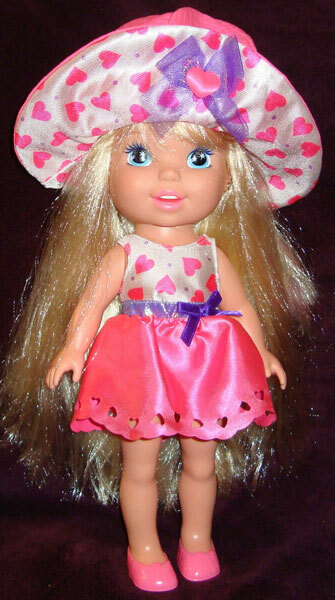 Her hat doubled as a purse for all her hair accessories. 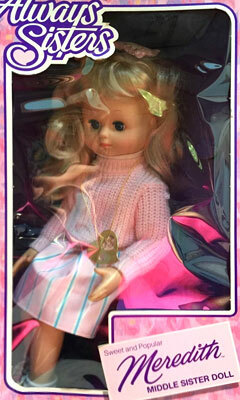 She had stars in her eyes and little stud earrings. 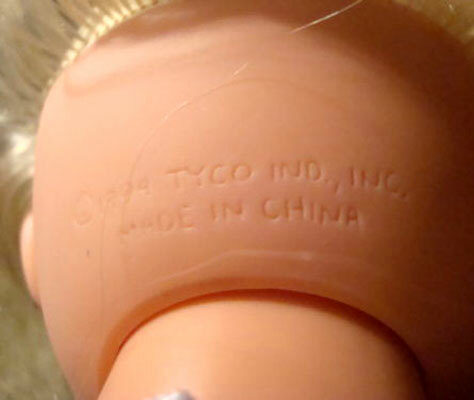 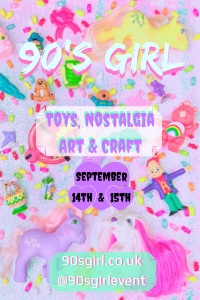 The back of the doll's head is dated 1994, but all advertising found is from 1995. 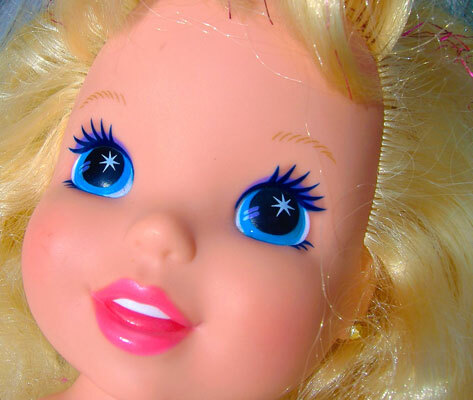 She had stars in her eyes. 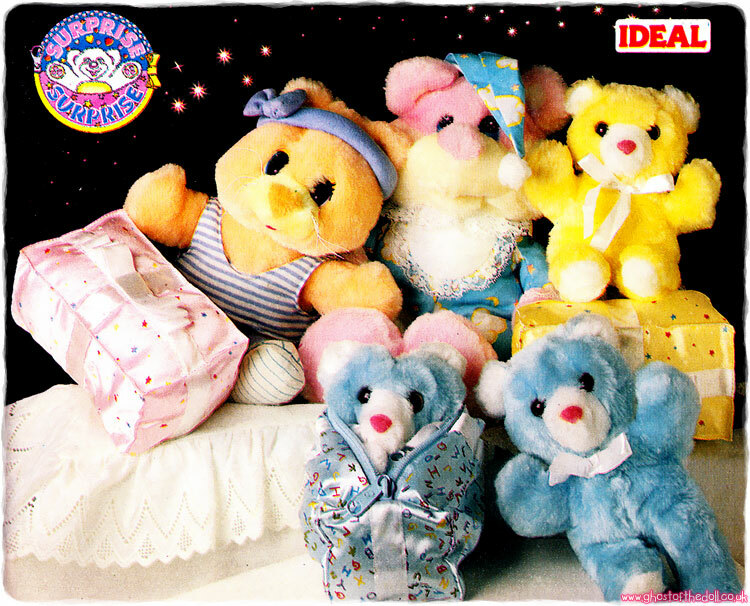 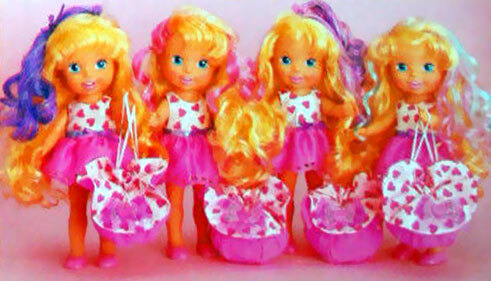 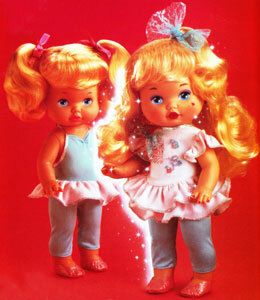 There were four dolls produced, identical in every way except the coloured hair sprouting from the tops of their heads. 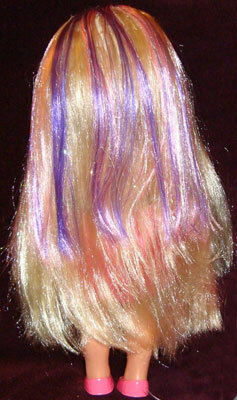 They all had a few tinsel strands too. 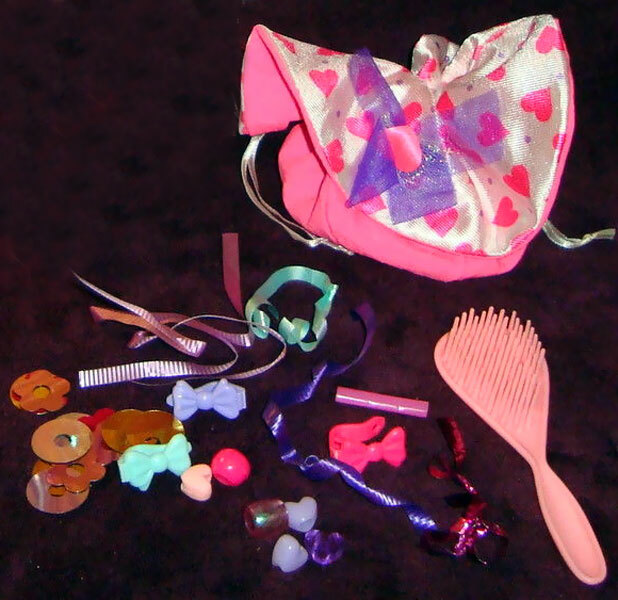 These are some of the accessories which came with the doll.